Lipoprotein-associated phospholipase A2 (Lp-PLA2): prognostic biomarker of adverse cardiac-related events. - Advanced ImmunoChemical Inc.Advanced ImmunoChemical Inc.
Home » Assay Notes » Lipoprotein-associated phospholipase A2 (Lp-PLA2): prognostic biomarker of adverse cardiac-related events. 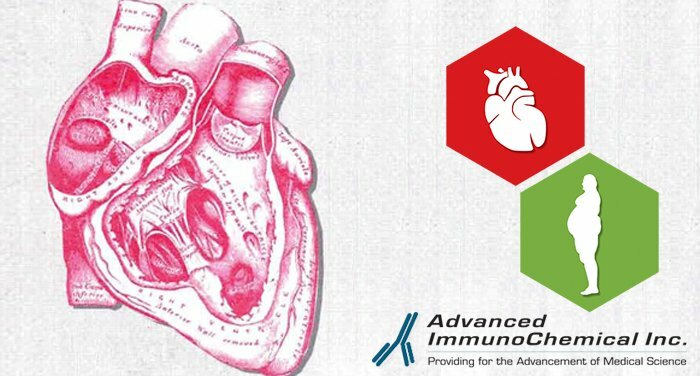 Now available: Advanced ImmunoChemical offers five In vitro produced lipoprotein-associated phospholipase A2 (Lp-PLA2)-specific murine antibodies and recombinant human Lp-PLA2 protein for high performance quantitative immunoassay measurement of Lp-PLA2 in mass units (ng/ml). Click here: view Lp-PLA2 product performance information. Four major international societies including the American Heart Association, the European Society of Cardiology, the American College of Cardiology, and the American Society of Endocrinology have included Lp-PLA2 as a biomarker useful for risk stratification of asymptomatic adult patients. Research published recently indicates Lp-PLA2 is a good predictor of incident peripheral arterial disease, as well as diabetes mellitus in patients diagnosed with coronary artery disease and correlates with the incidence of coronary artery disease, stroke, and cardiovascular mortality (1). References: (1) Arsenault, B.J. Emerging cardiovascular disease biomarkers and incident diabetes mellitus risk in statin-treated patients with coronary artery disease (from the treating to new targets [TNT] study). Arsenault, B.J. (2016).